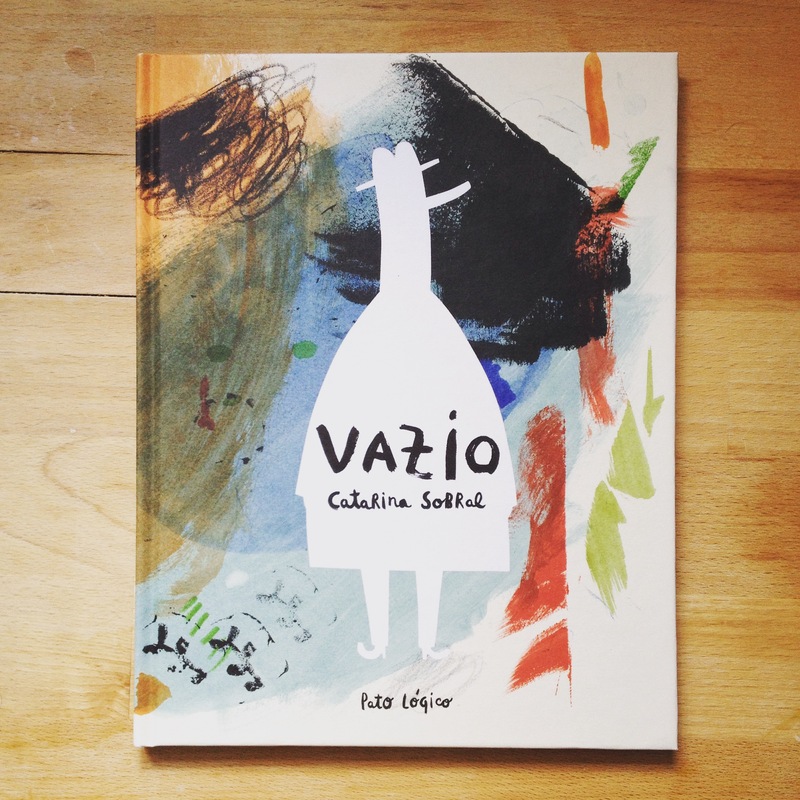 This month I would like to share a poignant picture book I found at the Bologna Children’s Book Fair – Vazio (Empty) by Catarina Sobral (Pato Lógico 2014). Pato Lógico is a Portuguese publisher of beautifully illustrated books. Among the piles of their gorgeous books displayed at their booth in the fair, Vazio caught my eyes because of Sobral’s distinctive illustration on the cover. I’d never heard of her until I stumbled across her other picture book, The House That Flew Away (Thames & Hudson 2016/the original Portuguese edition from Bruaá Editora 2015), at my favourite children’s bookshop Tales On Moon Lane last month. The House That Flew Away is also a wonderful book (maybe I’ll share in another post). It left me quite an impression so I was very excited when I saw another book by her. There were so many beautiful books I wanted to buy at the fair. However, many of them weren’t in English or Japanese. This might sound lazy but I prefer to read picture books in English/Japanese so I can understand the stories. I know some details and subtlety could get lost in translation but I think professionally translated books are better than reading the original texts with aide of Google Translate… Luckily for me, Vazio turned out to be a wordless book. Vazio (‘empty’ in Portuguese) is a story about a man who is literary empty (he is a white silhouette). He wanders around the city and collects things (food, flowers, cultural stimulations and pet birds) to fill the void but nothing works. Even doctors can’t tell what’s wrong with him. For being a wordless book, it doesn’t spell that his emptiness is emotional, that he is lonely. But it’s clear as crystal. An award winning Portuguese illustrator Catarina Sobral has beautifully and skilfully illustrated his emotional void without any aide of words. Every page is filled with colours that effectively contrast the white silhouette of the man. Also, her bold collage illustrations are not just fun and charming but also poignant. My favourite spread is the one almost entirely white which the man disappears in snow. It’s so striking and poetic. This book reminds me of one of the publishers I met at the fair. She said that younger children mainly understand stories through pictures and she suggested to take out all the texts from my picture book dummy and see if it still tells the story. As I’m one of those endangered spices called ‘singleton’ in my thirty-something social circle, I found myself relating to this character a lot. I guess many people would feel the same too as loneliness is one of common symptoms of the modern societies. How many of us are guilty of trying those emotional fixes such as retail therapy and midnight ice cream binge? The subject matter is universal. No wonder why it makes a great wordless book subject. Vazio is a mature and sophisticate book so I would say this book is for older children, adults even. Having said that, however, as increasing number of children, even younger ones, are suffering from feeling of isolation and loneliness, I recommend this book to anyone. Don’t worry. The story isn’t all doom and groom. It ends with a hint of hope like a ray of sunshine on a rainy day that tells you ‘It’ll be OK’.